A long time ago in a galaxy far, far away...we discovered this Star Wars Intergalactic Plate Set! 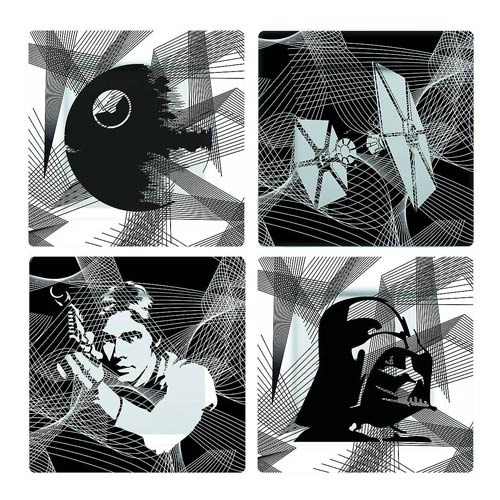 With four bold black and white designs featuring fantastic vector graphics of Darth Vader, Han Solo, a Tie Fighter and the iconic Death Star. These durable and easy clean melamine plates make the perfect addition to any dinner party, on or off world. Each plate measures 8 x 8-inches.